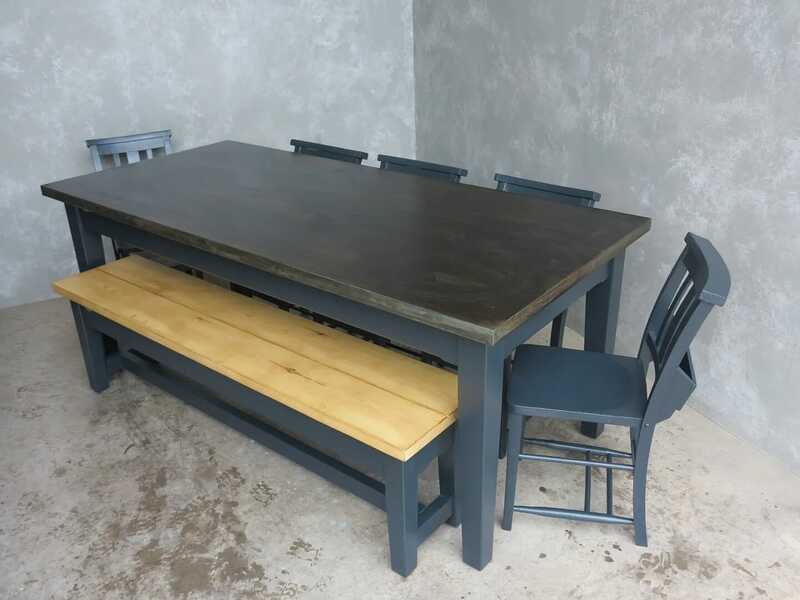 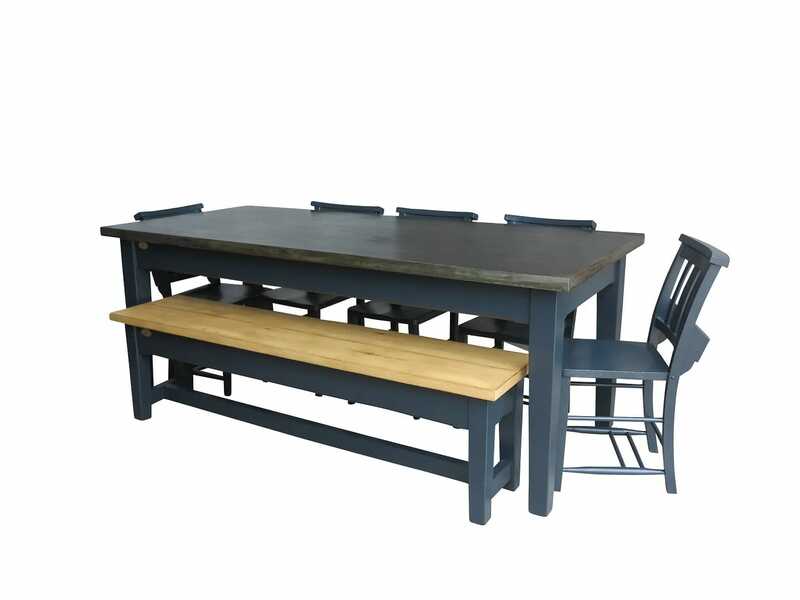 This particular antiqued zinc top table and bench have the specifications: 200cm Long x 90cm Wide, 40mm thick top, square corners, tapered legs, chamfered edge and badge. 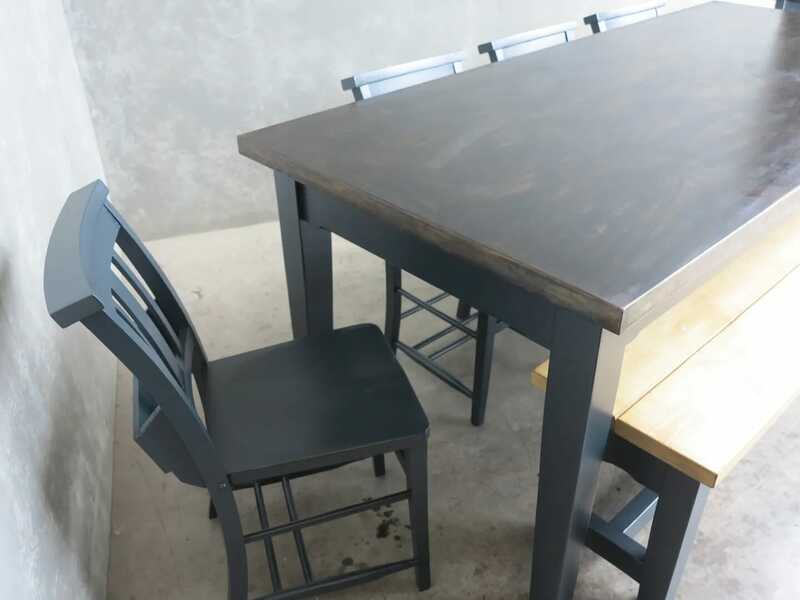 Bench: plank top, tapered leg base, chamfered edge, badge. 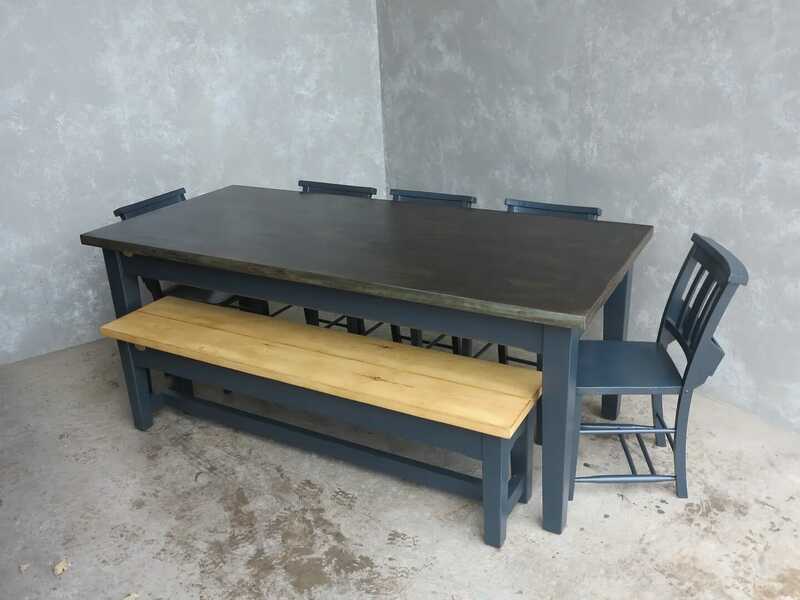 5 x reclaimed chairs Ref: 8383 all painted with Farrow & Ball - Railings.